Bolivia is big. 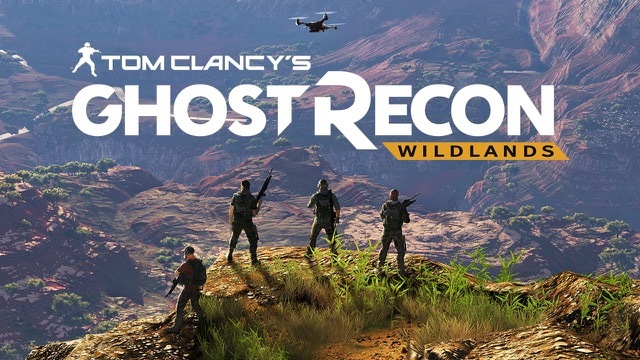 We got to see two of the game’s regions in the beta, and we spent around four hours with each, gathering all of the collectibles, doing all of the side missions, and hunting down high-level cartel members through 5-6 short (10-15 minute) story missions. We spent more time than was probably needed but it was just fun to play. And in the full release, there will be 21 regions total, a world bigger than any Ubisoft has made before. It’s a good looking one too, with barren mountains and plains that help emphasize the size of the world. Unfortunately this has the simultaneous effect of making the world feel empty. Much like Just Cause 3, in between the outposts, there isn’t much to find. Lots of dirts and rocks. By simply making the map bigger, I’m worried that they’ve just exacerbated this issue. 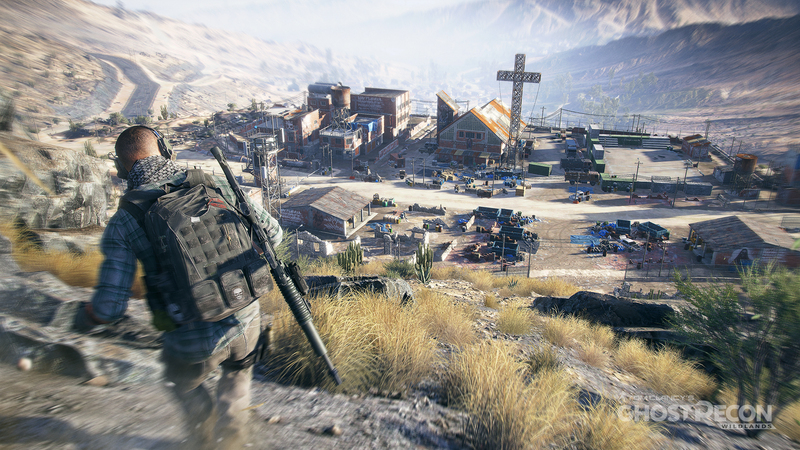 How long can you do the same side missions over and over again, or collect the same intel through outpost assaults in 21 regions. Thankfully, the core gameplay loop is satisfying and fun, especially when teaming up with a friend. Our editor, CJ, joined me to take down a small town, crawling to the top of a rocky cliff while I snuck around the side of the village, trying to remain undetected while they acted as overwatch and sneaky fire support with a silenced sniper rifle. Syncing our shots and timing enemy cycles to try to wipe out the enemies was amazing. But then I overextended and got taken down, ambushed by five men in a church as I tried to rescue a hostage. Cornered with no backup, CJ had to hold the cliff against an onslaught of angry soldiers. I made a mistake and we were punished for it. The difficulty feels fairly well-balanced, as we were playing on the third highest difficulty out of four. Enemies could take a few shots and keep going, but you could still drop them quickly. You are equally vulnerable, and a solid burst from a submachine gun will leave you lying on the ground in a pool of blood. They added in some smart balance decisions with this, where enemies are easier to kill while in stealth, dying usually in a single shot, but taking upwards of five when alerted. But of course, headshots always kill in one shot, unless someone is wearing head armor. The stealth isn’t difficult. You have a remote drone that can easily tag most soldiers in a town, and on all difficulties except the highest, you have the rough locations of soldiers marked on your map. With any amount of patience, you can easily wipe out even the largest group of enemies, especially if you have AI teammates and their sync shots, which allow you to mark targets for your companions to shoot. Where you have to have a line of sight to kill someone, your AI squadmates can shoot these targets from behind cliffs or walls, leaving no one safe with a few minutes and some clever drone maneuvering. It would be nice to see a bump to the difficulty, either through making enemies in stealth slightly harder to kill, or needing the abilities of your teammates. The enemy AI is solid as well, and once they detect you, they are aggressive, and will often try to flank you out of cover. Combine that with their high accuracy, and any gunfight can quickly become deadly. To avoid unneeded detections in stealth, your AI teammates are undetectable if you yourself are not spotted, leading to more than one situation in which I watched my comrades sneaking crouched across a road directly in front of a guard, once even passing right through him as they walked towards each other. The marking system is fundamentally broken. You can mark people by aiming at them with your weapon, by passing over them with your binoculars, using your remote drone to spy on them, or calling in a favor from rebels to mark every enemy in a certain radius. Once an enemy is tagged, they stay that way, with no apparent limit to the number of concurrent tags. You can even use the mark to easily tell if they are in the open. If the marked target is behind cover, the mark is red. If they are in your line of site (not behind a wall), the mark is orange. You can easily hide in thick underbrush and snipe enemies by simply aiming below the orange mark and squeezing off a burst of rounds. These faults do make it easy to underestimate the game, and you will be punished for it. If you move too fast, or miss your shots, you will be detected, and you might just die for it unless you are very fortunate. Enemies can detect the sound of missed shots, especially if they hit metal, and will frequently call for backup, from more soldiers to armed attack helicopters that will decimate you without overhead cover. There is an advantage to trying to be tactical, but as long as you play slowly, your positioning doesn’t really matter. Just take your time and hit your shots, and you will be perfect. There is one glaring fault however that precludes me from recommending this game to anyone. As much fun as I had playing, the game is quite unstable. During the 8-10 hours I spent with the game, it crashed five times, with two of these crashing my system entirely. CJ experienced a few as well, and it soured the experience, and makes it impossible to recommend until they have fixed these stability issues. You can look forward to our full review in a few weeks, but until then, I advise you to hold off on purchasing unless you have a dedicated group of friends to play with, or a high tolerance for crashes.